LAS VEGAS — CES has long been the domain — and the playground — of the futurist. 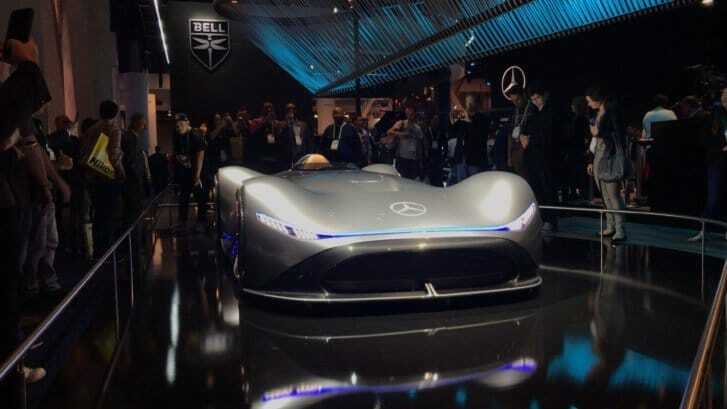 While it’s always fun to get a look at “what is,” it’s a glimpse toward “what’s yet to come” that continues to attract visitors to the world’s most dynamic showcase of technology and innovation at the Consumer Electronics Show, which saw nearly 200,000 visitors this week. Its attractions — self-driving vehicles, robot service providers and machines that interact with one another — may have been the purview of science fiction as recently as a decade ago. But today, they appear closer than ever to becoming science fact. Operating under the overarching theme of “Transforming the Future,” the event gave the world a firsthand look at a forthcoming era that will be vastly different from the one we presently occupy. Though the catalysts come from several areas of focus, three specific elements are poised to emerge as game-changers. AI is literally everywhere, copiously embedded into just about everything. Just as the “internet of things” transcended its original concept to the point where 50 billion “smart products” will form a global maze of interconnectivity by 2020, artificial intelligence is today’s embedded ingredient that will soon be as commonplace as the microchip. Right now, AI drives digital assistants, smart speakers, televisions, security systems and home appliances, but at CES, innovators large and small are demonstrating the next generation of normal, everyday items fueled by AI. “We consider AI to be the new electricity,” said Silvio Revelli, CEO of Italian company Volta, which introduced Mookkie, an AI-infused pet feeder that deploys facial recognition to allow access to only the appropriate cat or dog. “We firmly believe that every product or service will eventually contain an AI aspect, which is why we provide our customers with the necessary capabilities for a variety of AI-powered devices,” Revelli said. Leading the way, of course, are the industry giants who “must become lifestyle innovators that serve a truly intelligent way of living,” said keynote speaker I.P. Park, president and chief technology officer of LG Electronics. The goal is to create open platforms and partner relationships that serve to generate a seamless experience, creating products that constantly learn and evolve in lockstep with their owners. Though AI has existed since the dawn of the computer age, only recently has it truly emerged as that next great element destined to impact our lives. Only now, companies such as NVIDIA, Qualcomm, AMD and others have developed AI algorithms that operate internally within the framework of physical products. As a result, devices are fast becoming smart enough to recognize preferences and ultimately anticipate them. Since 4G cellular service apparently isn’t as fast as we need it to be, we’ve been hearing about the eventual emergence of the fifth generation for years. With substantially faster speeds and far lower latency times, this new era of networking tech will interconnect devices at speeds that are designed to change everything. Though advancements have indeed been evident, the pace has been more-or-less methodical. But that’s about to change. At CES, the entire 5G ecosystem was on display as the backbone for transportation, virtual reality, sports technology and digital health. The proof is already starting to emerge. In 2019, every major carrier will have 5G pilot programs up and running. CES showed its potential impact: faster phones and connected platforms yielding swifter downloads, instantaneous communication and immediate interface among connected devices. However, the networks are only the first part of the equation. Products presently running on 4G technology are undergoing rapid upgrades to meet the arrival of new networks. 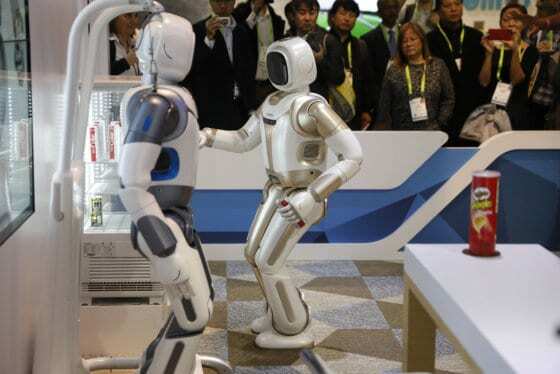 Manufacturers took every advantage of the massive CES platform to demonstrate their take on everything from computers, phones and wearables, to smart cars, smart homes and smart communities. Like AI and 5G, self-driving cars have appeared both at CES and on the international auto show circuit for nearly a decade. But as this concept now appears to be fast-approaching fruition, so too does the desire to see what will happen once we get there. Audi’s vehicle of the future showed us how the family car might soon become a mobile movie theater, while Hyundai demonstrated a vehicle in which you can get a head start on your workout during your robotically chauffeured ride to the gym. Not to be outdone, automotive accessory companies such as Bosch and Kenwood showed us how the self-driving vehicle media revolution is on its way. With the promise of a “moving living room” set to change the way we consume entertainment on the go, even a hybrid-driverless car presents a revenue opportunity for a wide range of companies. When drivers can fully divert their attention from the road, windshields can suddenly become projector screens, in-car gaming console docks, computer interface platforms and other sources to deliver interactive content in addition to old-fashioned radio. 8K TV, offered by all the major manufacturers. Due out later this year, 8K features four times the pixelation of last year’s innovative 4K television, complete with flat screens that roll up for storage to wall-sized sets. The next generation of computers designed to create a virtual paradise world for gamers. Augmented, virtual and mixed-reality training simulators for athletes. Digital health products that seemingly never regress between annual expos. And, a continued proliferation of startups from all corners of the globe, 1,300 of which showcased their ideas, concepts and working products from the Eureka Park marketplace. Though some industries — such as drones, robotics, 3D printing and wearables — may have jumped the shark in terms of “shiny new object” appeal to the public, improvements across the board were also prevalent this year, proving that while a concept may no longer be scorching hot, the need to evolve constantly exists. And so, at CES 2019, we have indeed seen the future. Quite frankly, it looks pretty exciting. CES 2019 is well underway in Las Vegas, and the largest technology show in the world has been featuring new, innovative gadgets. See photos of some of the latest, most interesting tech.